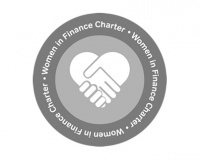 A further 45 signatories have committed to take on the targets highlighted in the Women in Finance Charter. Recent signatories include Sesame Bankhall Group, Investec Wealth and Investment, Metro Bank, Sainsbury’s Bank and Bank of Ireland. In 2017, Virgin Money chief executive Jayne-Anne Gadhia was asked by Government to lead a review into the representation of women in senior managerial roles in financial services. The charter is owned by HM Treasury and was launched to take forward the review’s recommendations. Now, more than 205 businesses have signed the charter, committing to taking several steps toward great diversity, including having more than one senior member responsible for gender diversity and inclusion; and setting internal targets for gender diversity in senior management. More than 30 senior industry women gathered at Virgin Money’s London headquarters on Thursday to discuss building on the already considerable success of charter. She said that the charter is not just about women but parity for all. Minority report: Are women closer to achieving equality in the industry?